I spend a lot of time cooking, mostly because I love it. I cook dinner parties for all my friends, I make dishes to stash in the fridge for weekday lunches for my husband and I, I bake occasionally and I make dinner as many evenings as are possible. With all that cooking, I wash my hands a lot and the soap I use is important to me because I don't want my hands to be dry, cracked and prematurely aged. Fragranced with pure English Lavender, the Organic Lavender Liquid Handsoap by Little Soap Company is currently taking up residence on my kitchen sink. My favorite thing about it is how amazing it smells. I feel as though I don't even need to worry about perfume when I'm hosting a dinner party and rushing around - I just wash my hands during the cooking process and there's a lovely, clean, fresh cloud of lavender fragrance following me wherever I go. In addition to its lovely scent, this handsoap boasts powerful antibacterial properties. It's also made with natural ingredients and is free from detergents, SLS, alcohol, palm oil, parabens, sorbates, silicones, sulphates and preservatives, making it suitable for the whole family and completely guilt-free. I also love this soap because it really goes a long way... There's no need for 10 pumps to get clean, fresh hands - just one little pump will do and it leaves hands feeling clean and tingly. My hands also don't feel too dry after use either, which is a plus for anyone who washes their hands a lot. 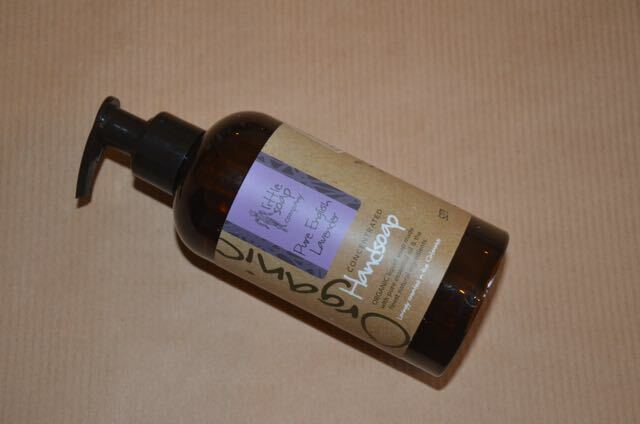 At just £5.99, Little Soap Company Organic Lavender Liquid Handsoap is a bargain and a nice little luxury for you, your home, your family and your guests. 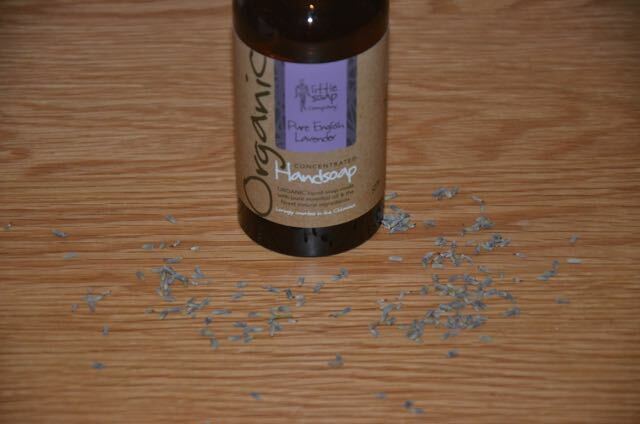 Organic Lavender Liquid Handsoap is available online via Little Soap Company among other scents. For more information or to shop, visit www.littlesoapcompany.co.uk.